Photograph taker. Picture maker. Printer. Self-taught chemist. Business woman. Board chair. Advisor. Teacher. Gardener. Pickler. Chicken keeper. One time bread baker. Kayaker. Birdwatcher, albeit late rising. Reader. Artist. Citizen. June 15, 8:30am - 10:00am EDT. Quirk Gallery hosts a special pop-up Blue Skies Workroom Trunk Show this Friday 11am-7pm & Saturday 11am-6pm featuring tote bags, small and midsized zippered pouches, aprons and hand-bound notebooks. 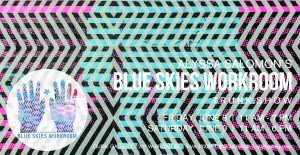 Blue Skies Workroom is my project of useful and joyful, handmade textile and paper goods for home, carrying, and giving. 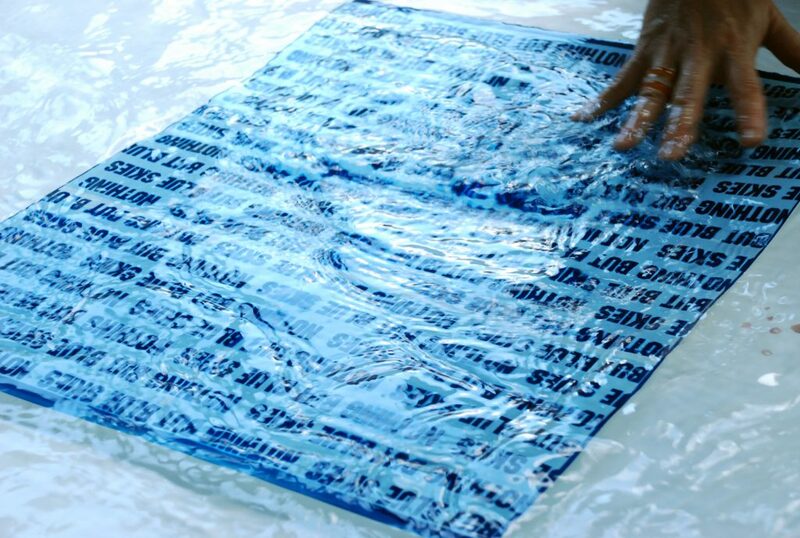 Everything is printed with eco-friendly inks on fine fabrics; designed and made in my Studio Two Three and home studios. I've introduced a few new patterns for summer including Flower Power on metallic silver linen and Ella on metallic foil knit jersey. There are a fell color-filled books from Current Books still available plus new large journals with washable paper covers and thin notebook packs with risograph-printed covers. Everything's bright, colorful, full of summer and of happiness. Quirk Gallery is located at 207 West Broad Street, Richmond VA 23220. I'll be there throughout the Trunk Show. If you have a chance, come by, say hi, and check out Mary Holland's cyanotype exhibit that's on view too. I'll be vending as Blue Skies Workroom at The Brunch Market on Saturday, May 5, 11am until 4pm, at Lunch.Supper! in Scott's Addition on Summit Avenue at West Marshall Street. It's an indoor market so we're there rain or shine. There's food, of course. I've been making some dazzling and vibrant new zippered bags. I'll also have aprons, tote bags, happiness. and a few hand-bound multi-color books remaining from Current Books. 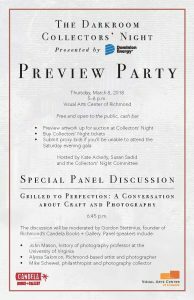 Collectors' Night Preview Party Thursday, March 8, 5-8pm at Visual Arts Center of Richmond. Free & open to the public. Starting about 6:45, Special Panel Discussion about Craft & Photography, moderated by Gordon Stettinius (Candela Books + Gallery). Panelists: Alyssa Salomon, Dr. John Mason (history of photography professor at UVa) & Mike Schewel (philanthropist & photography collector). Expect fun & interesting ideas. Blue Skies Workroom has been selected to be an exhibitor for the inaugural CURRENT Books book fair, March 31, 2018. I'll be debuting Relative Medium, a project in which I use bookbinding as collecting and as color studies, producing hand-bound books for use as journals, scrapbooks or decorative objects. Relative Medium is inspired in part by Albers' Interactions of Color (of course), Doris Lessings' The Golden Notebook, Agnes Martin, Arlene Shechet's palates, quilts, Alexander Gerard, and even Dieter Roth, not to mention my unabiding love of color and of paper. CURRENT Books will showcase high-quality works by art book publishers, artists, writers, and artist collectives who produce print media including artists' books, monographs, and zines. CURRENT Books will highlight regional makers from Maryland, Washington DC, Virginia, and North Carolina, and give them a platform to exhibit and sell their work. The event cultivates awareness of arts-related publishing by featuring the full spectrum of creative production found at the intersection of art and publishing. CURRENT will return to its original neighborhood in Scott’s Addition for the inaugural edition of CURRENT Books on March 31, 2018, in Studio Two Three's special event space. All content © 2019 Alyssa Salomon. Site by Team Eight.